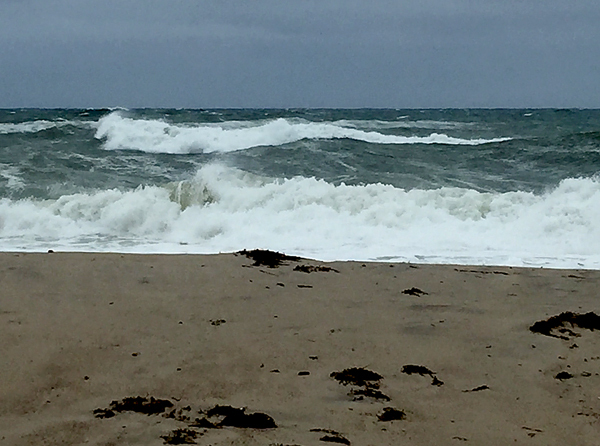 With all of the high winds and rain from the recents storms on Cape Cod the past few days, the waves are humungous! I drove down to the beach and to get a few photographs. It was so windy that I had to hold on to the railing as I clicked away with my iPhone. I was too afraid to take my camera out with the wind and spraying salt water. 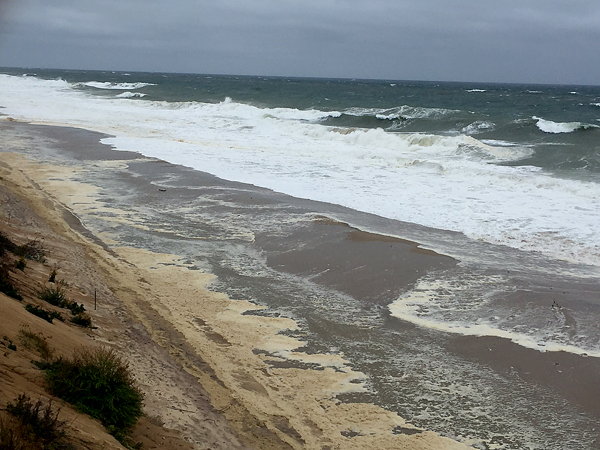 You can see how high the water is in this photograph of Nauset Light Beach…it is all the way up to the dunes and it isn’t even high tide yet. 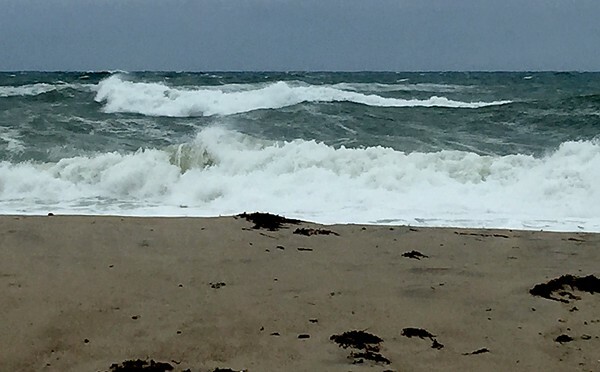 There is nothing like being at the beach in a windy rainstorm! I would enjoy listening to these waves.